Panto's, Nativities & Fancy dress events. 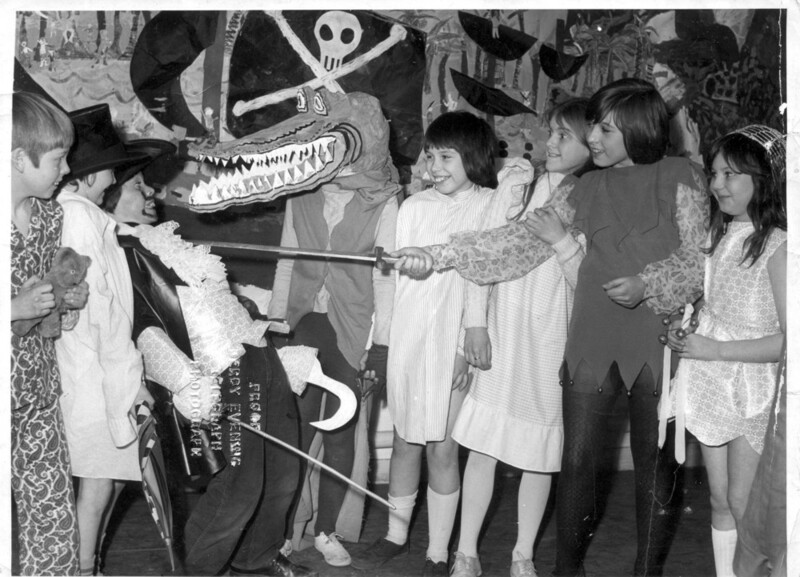 Fig.1 Christmas Panto' could be "A Christmas Carol" 1960s. 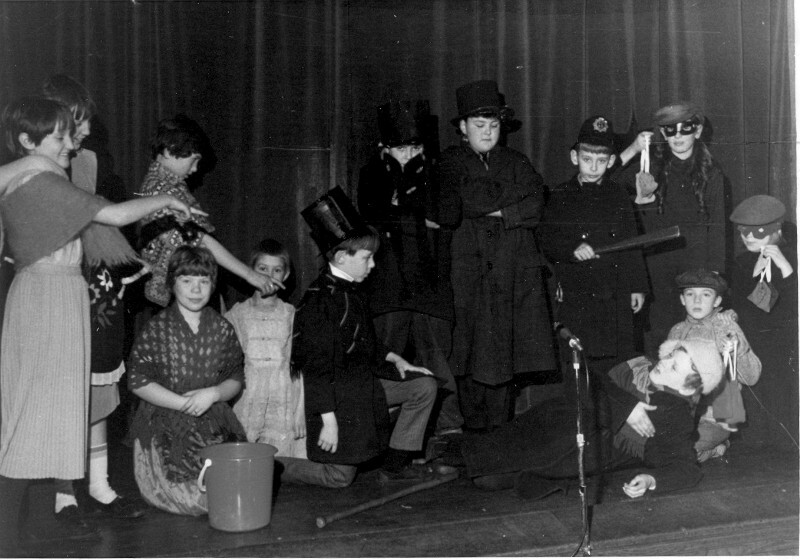 The only pupils I recognise on this picture are Linda Brown kneeling behind bucket, Ian Fowler standing behind her. 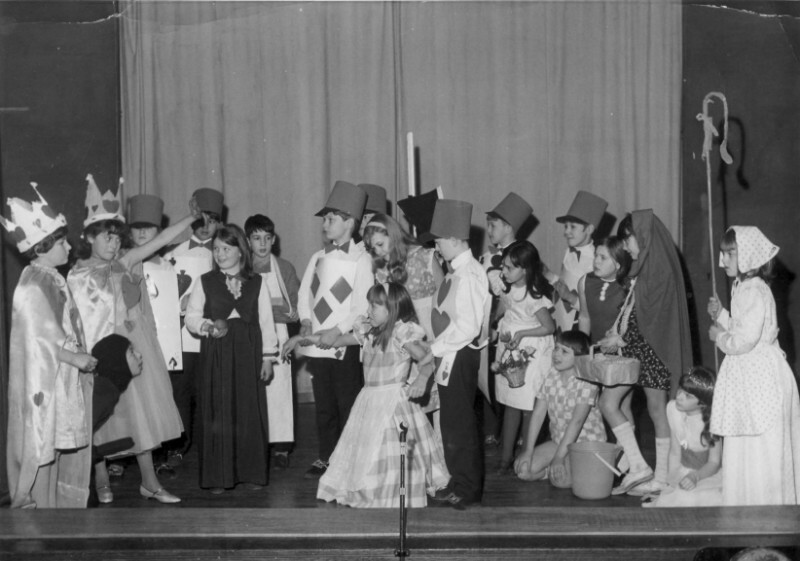 Fig.2 A Christmas Carol 1960s. 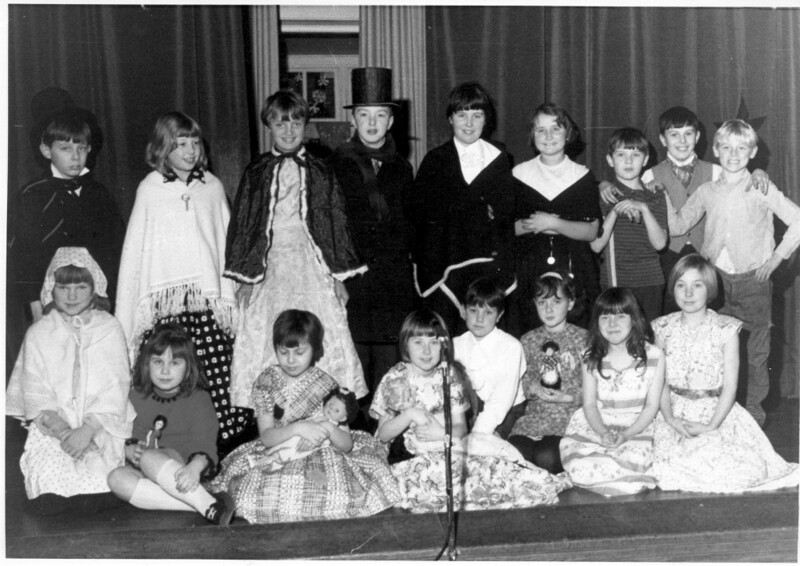 left to right; Robert Cauldwell, Dilys Ludlam, the cat is Gary Robinson, Victor Godber, Paul Taylor, Elaine Thorpe, Tony Simpson, Michael Haynes, can't see the one at the back, The girl above 'Alice' Lyn Bonus, Alice is Sandra Buxton, Steven Redfern, Steven Bennett, Denise Bacon; Steven Paige, Sharon Baliski, Catherine Jaques, Jacqueline Musson. On the floor at the right; Andrea Berry with short hair, Julia Brown with long hair. Thanks to Jacquie Maxted for permission to use this photo. 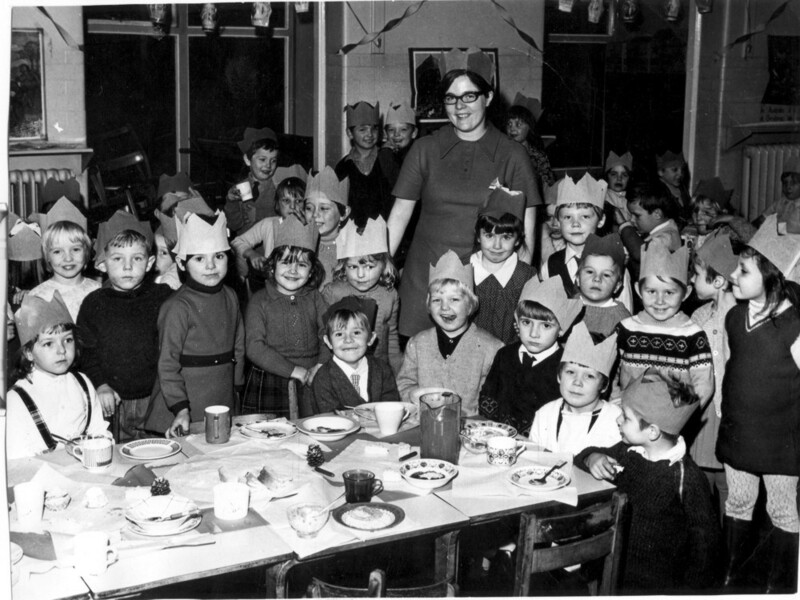 Fig.5 Christmas Party 1970 the teacher is Miss Kennedy and some of the pupils are, Marie Dickson far left, Karen Hitchcock far right, Boy sat in front of teacher with light coloured jumper is Ian Clarke with Brian Eyre to the left of him, Julie George sat to the right of him with white top. Standing at the back just to the left of the teacher is Mark Foulds and Paul Cattermole. 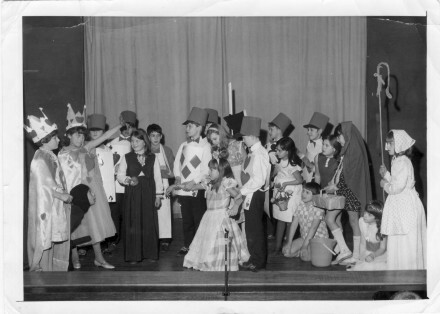 Paul Saint standing just to the right of the teacher with light coloured hat. Behind him and sat at the back in the doorway is Tracey Clarke and Andrew Perkins. Many thanks to Ian Clarke for this picture.